making a small argon purge box for tig welding small parts. some small parts can be easily welded on the bench without any additional argon shielding. But some parts can benefit from being welded in an argon atmosphere. 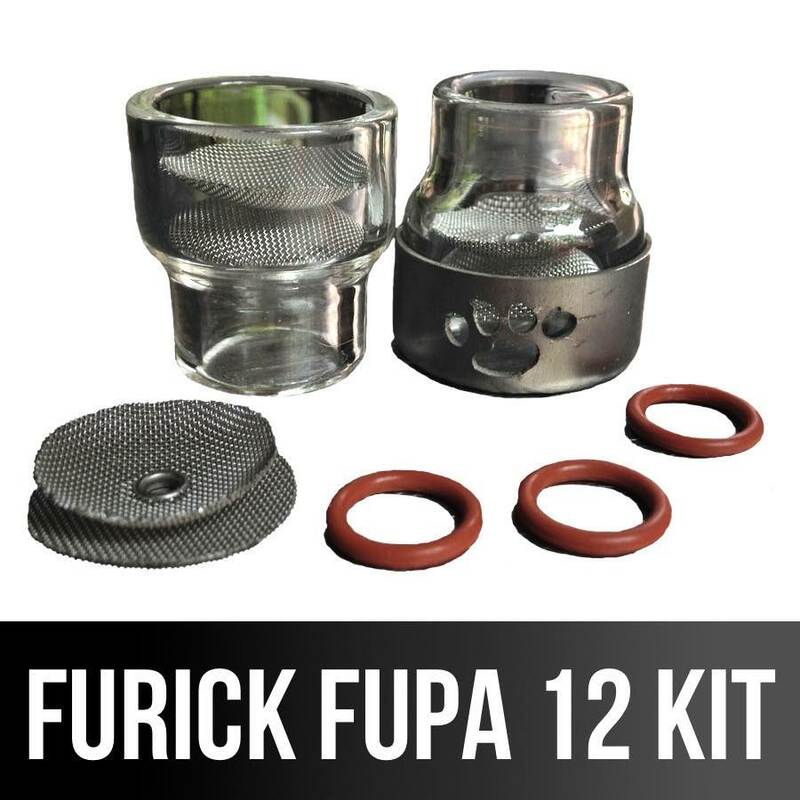 using 11 ga stainless steel, that was water jet cut... my friend Roy shows how he uses a #12 furick cup and chill bars to get great argon shielding on this small argon purge box. 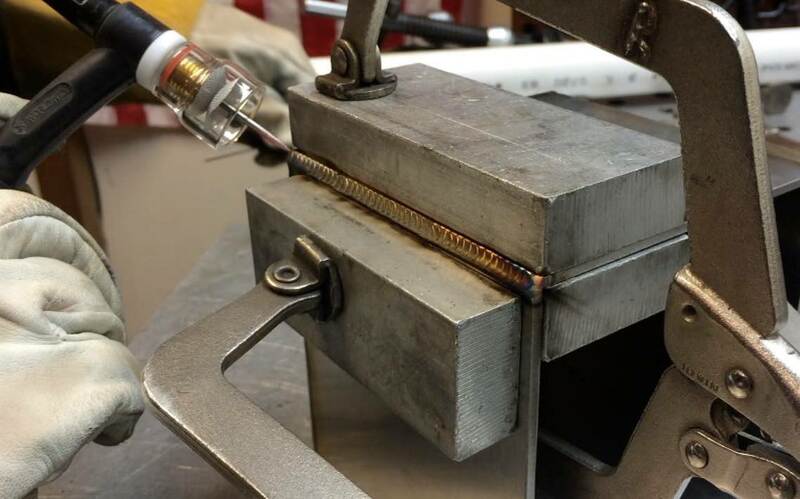 An argon purge box is used not only for titanium parts, but also when a high quality weld is desired on small parts with hard to shield areas. The thinner the metal, the more important chill bars become. But for .040" (1mm) thick stainless, chill bards would make a huge difference. Chill blocks remove heat rapidly from stainless and help prevent distortion. That is a good reason to save all the aluminum blocks you can so you can have an assortment of different sizes to use for chill bars when the need arises. Discoloration is basically due to surface oxidation. Discoloration in stainless steels might be tolerated for some applications. But there are certain situations where the less oxidation the better. using chill bars along with the Furick 12 cup lessens discoloration a lot. 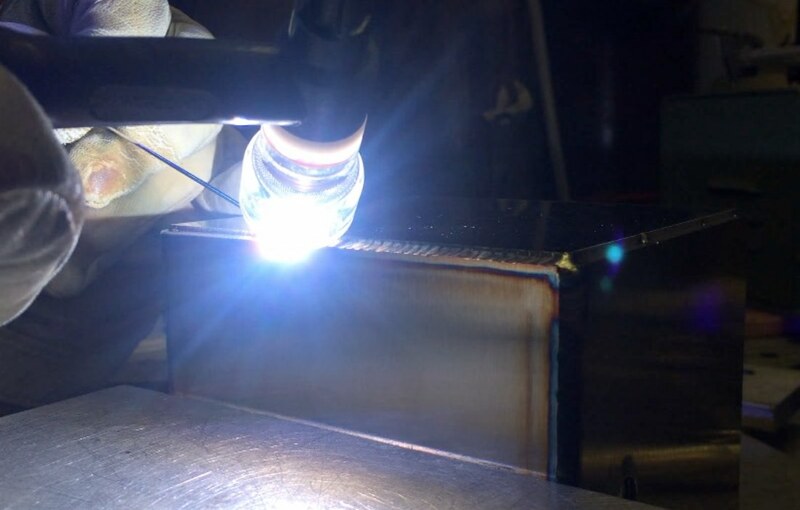 A diffuser is used to allow the argon gas to flow smoothly and evenly and to provide a soft blanket of gas to the parts being welded. ..and Its a good idea to use a diffuser for purging anything. it reduces turbulence and usually provides for a better, quicker, and more efficient purge. and that is the whole idea of building a small purge chamber...to provide a quick argon atmosphere for tig welding without using a ton of argon gas.